Of my nearly three years living in the magical Hawaiian island of Oahu, certain local culinary wonders were introduced to me. Some were downright amazing (love me some Kalua pig and ahi/tako poke any day, any time,) others were too cloying for my liking (I'm looking at you, poi,) a couple were baffling (spam musubi, anyone?) and then there were those that were stratospherically awesome. Case in point: The blueberry cream cheese scones baked fresh daily at Diamond Head Market and Grill in Honolulu. These addictive mounds of goodness simply and literally explode with whole blueberries and chunks of cream cheese. 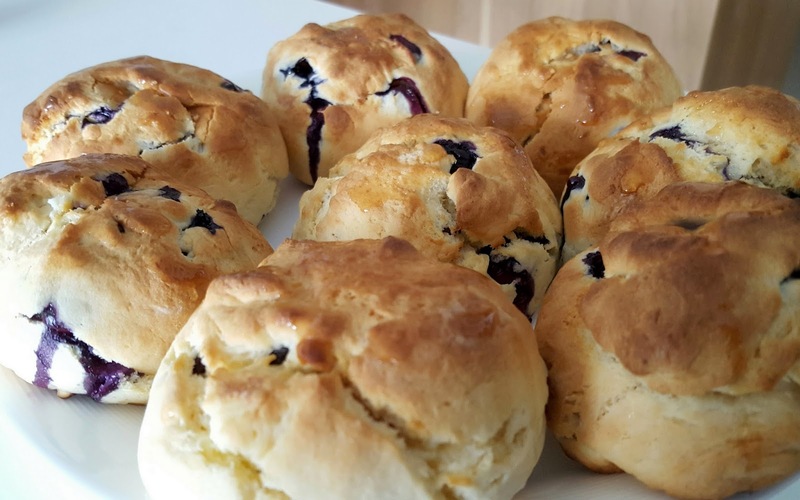 In fact, if done right, there should barely be enough of the scone to hold them together - that's how good each bite is. 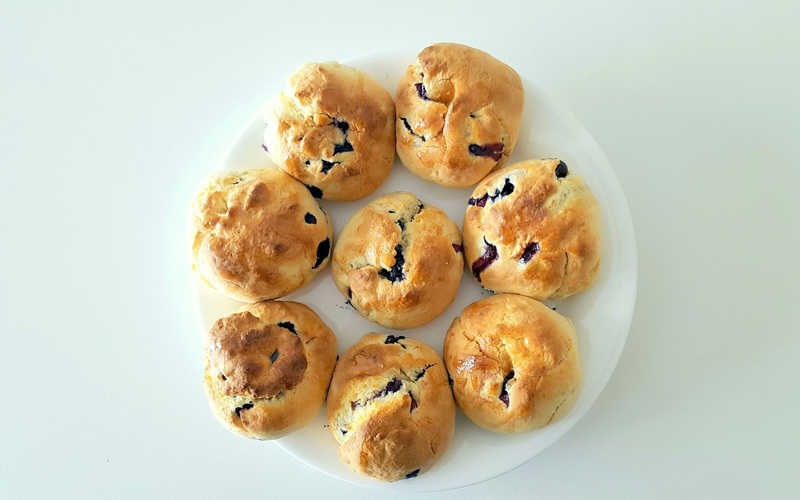 Now since any travel back to Honolulu is unfortunately not in my foreseeable future due to my work schedule, I resorted to doing the next best thing, which is to try to replicate these scones in my own home. For those who don't know me, I'm going to pause here to reiterate just how much I'm not a baker. Honestly, I've baked less than five times in my entire life and none of those have ended in anything that's close to being edible; that should give you a helluva indication how much I love these special scones. Seriously, for me to take some time to actually do all that prep work and then, you know, bake, it's a huge friggin' deal. So as I understand it, the owner of Diamond Head Market and Grill is keeping mum about the recipe. Can't quite blame him as they're hot sellers and don't come cheap at USD3.95 a pop. However, his reticence hasn't stopped intrepid bakers and foodies from trying to deconstruct those scones and come up with their own directives. Amateur bakers on the internet swear by the recipe from Honolulu Star Bulletin's Betty Shimabukuro so that's exactly what I went with. The photos below documented my process. No matter what, you gotta have good cream cheese. What I love about using a Japanese brand is that not only the cheese's texture and consistency is excellent, but that their baking-friendly packaging allows for easy portioning. I used fresh blueberries even though the recipe called for the frozen kind. Raisins were also added to the dough. Just because. Here's where I mixed the flour, cream cheese and a whole lot of butter for about three minutes in medium speed. The dough was then stretched flat and thin to a rectangular shape. 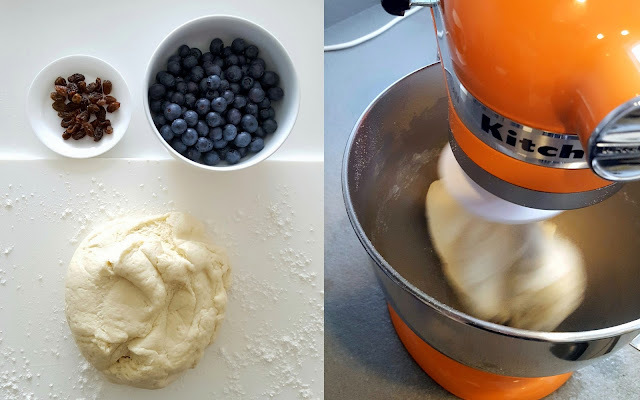 I love how Betty tells us to "gently push blueberries and cream cheese pieces into the dough" which was my favourite part of the entire baking process. Eight mounds of dough going into the oven that's already pre-heated at 200 degrees Celsius. Ta-da! 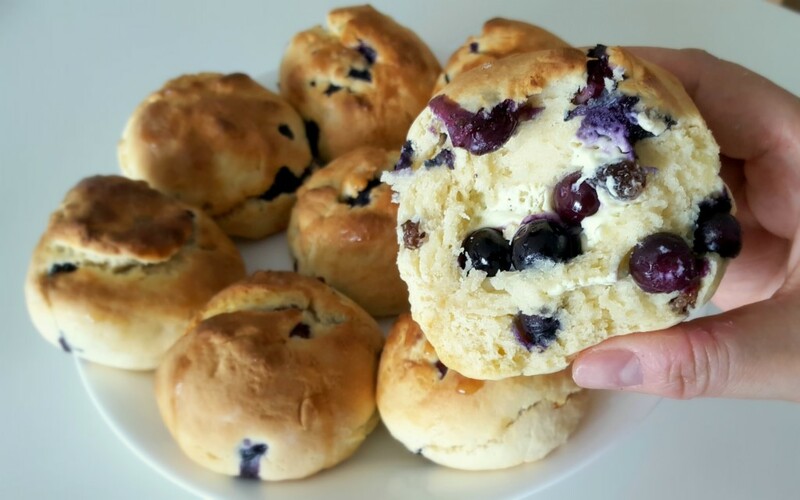 15 minutes later, I have my own batch of blueberry cream cheese (and raisin) scones. Instead of glazing with a blend of sugar and hot water, I infused a bit of Canadiana by using maple syrup instead. 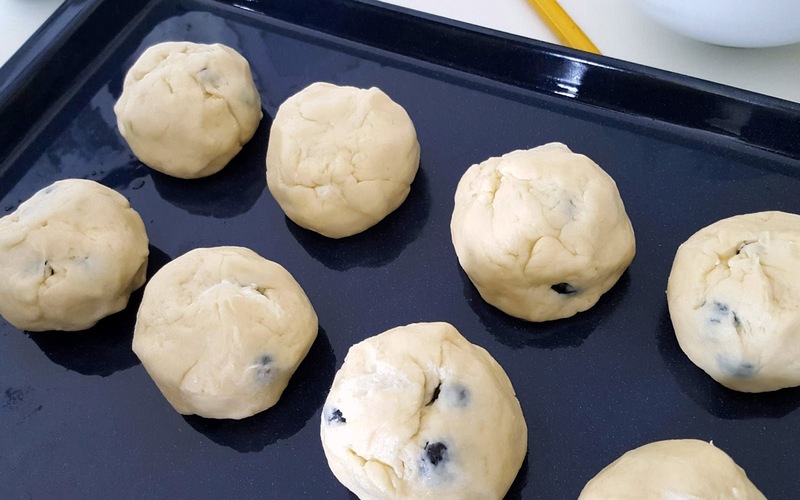 Combine butter, flour, sugar, baking powder and salt in a bowl and cut with a pastry blender or two butter knives until crumbly. 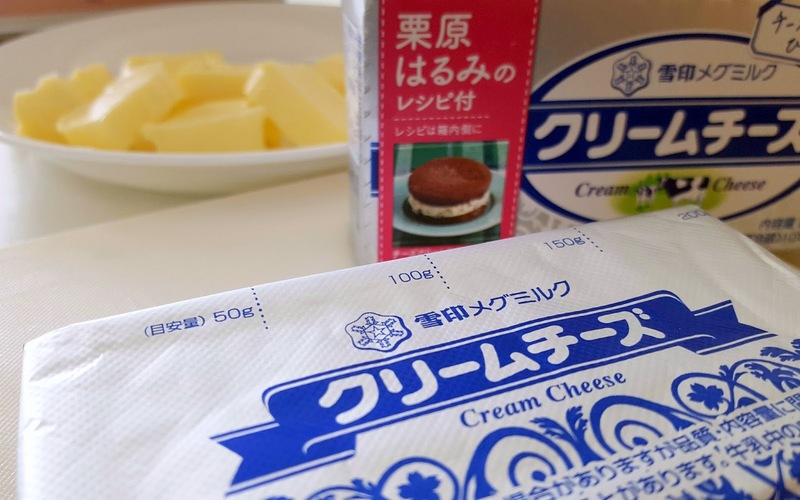 Stir milk into softened cream cheese, then stir in egg until well-combined. 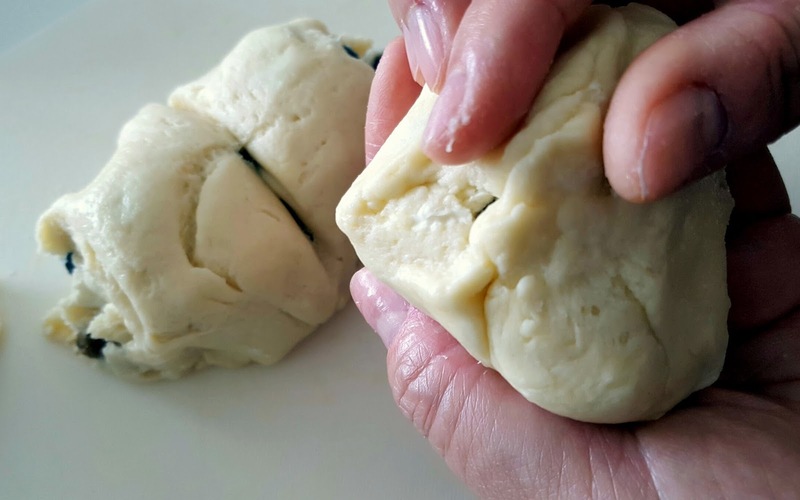 Stir cream cheese mixture into flour mixture until dough forms a ball. 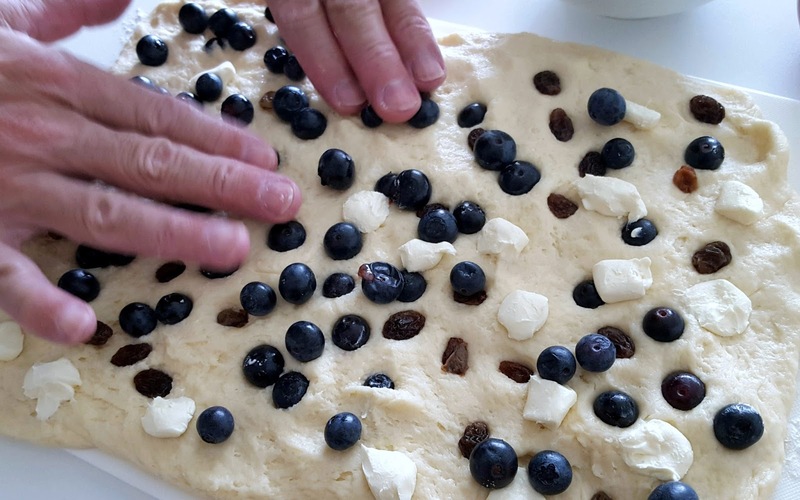 Gently push blueberries and cream cheese pieces into the dough to incorporate evenly. Be careful not to crush the berries or mash the cream cheese pieces. Bake for 18 to 20 minutes at 200 degrees Celsius, until golden. Makes 8 scones.